How to have hippity-hoppity happy bunnies. 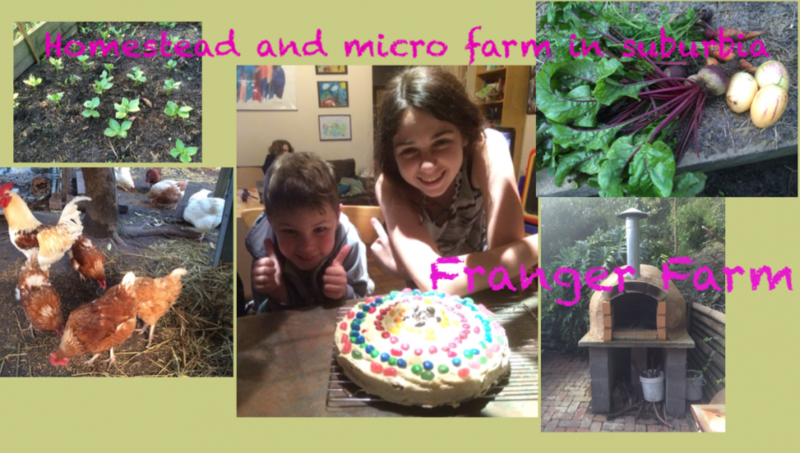 We keep two rabbits on Franger Farm, they are kept as pets, but they play an important part in our permaculture system, disposing of kitchen scraps and giving us plenty of rabbit poo in return, that we can then use on our veggie beds. Here is our guide to keeping your bunnies happy and healthy. 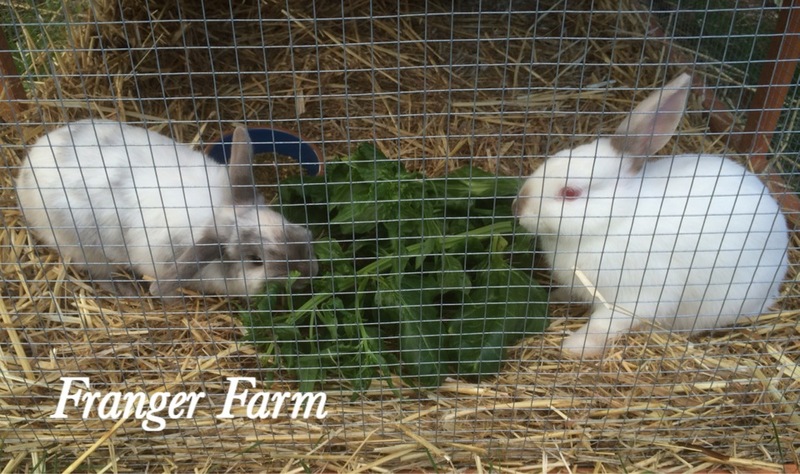 Our Franger Farm bunnies, Mushroom and Garlic. The most important thing to purchase is some secure and safe housing for your rabbit. It must be warm, dry and predator proof, you can find ready-made hutches in your local pet shop or you could purchase on-line, http://www.Amazon.com has a great selection for all sizes of rabbit. It’s a good idea to do some extra escape proofing of your cage or run if it sits directly on the ground. Rabbits love to dig and can quickly dig a tunnel out of their accommodation and disappear. We solved this problem by nailing aviary wire to the underside of the hutch and run so that our bunnies couldn’t dig out. It’s very important to feed your rabbit the correct diet. In the wild, rabbit’s eat mainly grass and they grass for at least six to eight hours a day. It’s essential that you provide the correct types of food at the right time to keep their gut healthy. We give our rabbits both fresh grass and hay, we put the hay in a hanging basket suspended from the top of the run, this provides them with a bit of a challenge and entertainment which stops them getting bored. You can also try stuffing the cardboard tube from a toilet roll with hay, so your rabbit can have fun rolling the tube around and chewing the cardboard to get at the hay. commercially available pellets will help to ensure that your rabbit has a balanced diet. 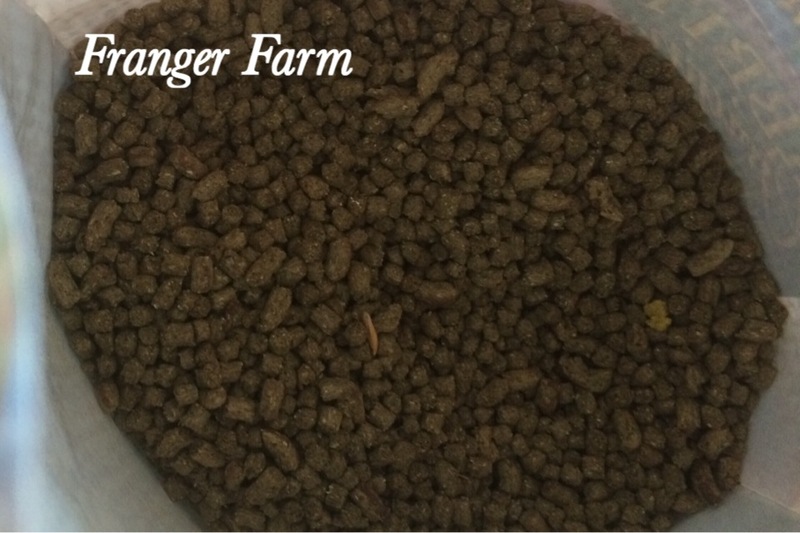 We feed our rabbits commercial rabbit pellets to ensure that they are getting enough fibre for their digestive health. Make sure that your rabbits have clean water available at all times. We supplement their diet with plenty of vegetable scraps, which they get very excited about, and the occasional commercial treat bar specially formulated for rabbits. It’s important to play with your rabbits regularly to make sure that they are tame and friendly and don’t mind being handled. If you invest some time in caring for your rabbits they will reward you with entertainment and fun times, and did I mention the poo? 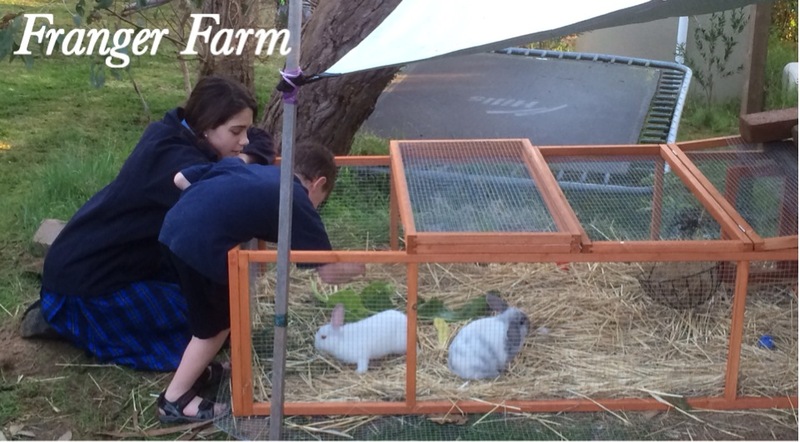 Check out these links for fantastic accommodation for your bunnies. Categories: Rabbit care. Tags: keeeping rabbits, Rabbit care, rabbit food, rabbit housing.